Those users whose spelling level is above Level 3 and are able to touch-type should have the choice to jump to another level if they prefer. 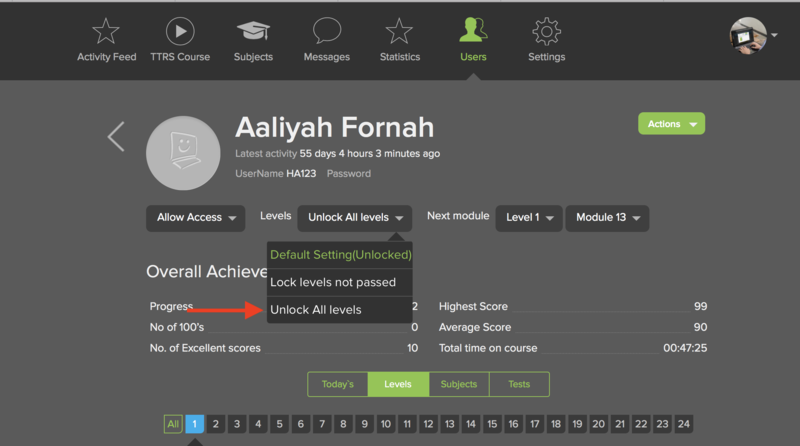 By accessing Students from your teacher console, you can set an individual’s Level setting to Unlock all levels. This means the student now has free movement to all modules. 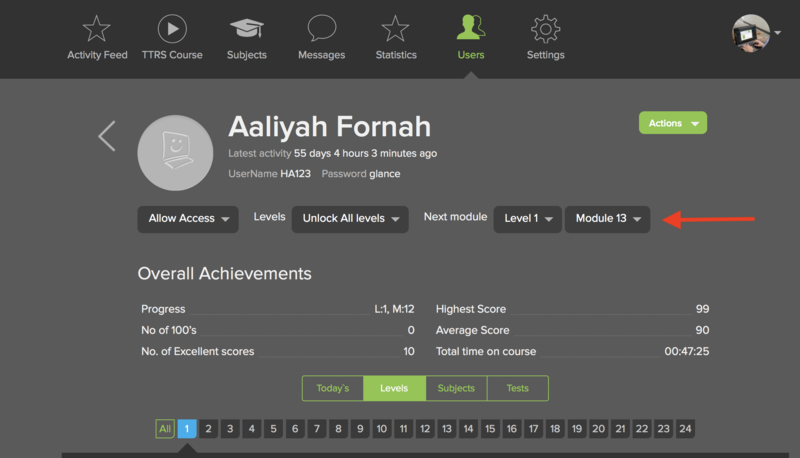 Alternatively, you can keep future levels locked, but just change the next module / level.